Global growth softened to 3.6 percent in 2018 and is projected to decline further to 3.3 percent in 2019. One of the cures the IMF proposes is to boost financial inclusion. The IMF blames the significant weakening of the global expansion, the lowest in a decade, on several factors, mainly the ongoing China-United States trade war, Argentinean and Turkish macroeconomic difficulties, and German auto industry woes. To exacerbate the issue, US President Donald Trump is now threatening to impose tariffs on cars imported from the European Union, which could result in German carmakers losing billions of dollars. According to the IMF, to reactivate global economic growth, among other things, it is imperative that financial and government authorities make their economies more inclusive. Central Bank Digital Currency could strengthen the benefits and reduce some of the costs and risks to the payment system and could help encourage financial inclusion. Moreover, at the 2018 Singapore Fintech Festival, IMF CEO Christine Lagarde addressed the issue of financial inclusion and how digitalization was reshaping economic activity. Let me start with financial inclusion, where digital currency offers great promise, through its ability to reach people and businesses in remote and marginalized regions. We know that banks are not exactly rushing to serve poor and rural populations. Even cryptocurrencies such as Bitcoin, Ethereum, and Ripple are vying for a spot in the cashless world, constantly reinventing themselves in the hope of offering more stable value, and quicker, cheaper settlement. At the same time, the IMF head favors retrofitting identity checkpoints (i.e. chokepoints) into cryptocurrencies to maintain ‘financial stability.’ In other words, cryptocurrencies like Bitcoin are great as long as governments and central banks retain control. She argued for imposing KYC/AML regulations to ensure that the users’ identities are adequately recorded. This, however, would undoubtedly add friction, undermining the entire idea of financial inclusion. This brings me to my third area—the potential downsides of digital currency. The obvious ones are risks to financial integrity and financial stability. But I would also like to highlight risks of stifling innovation—the last thing you want. The IMF being against “stifling innovation” does sound promising. 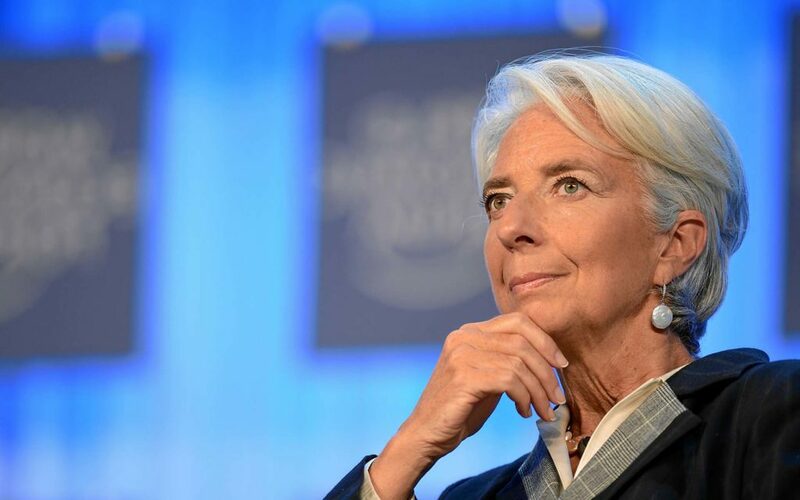 However, it’s doubtful that the IMF chief will support Bitcoin as an open alternative to the global banking system.